Lawns, indeed all grassed areas, can become compacted during long, hot summer months and brown patches start to appear. They will recover come the autumn but if you want to keep the lawn green you will need to water and using a sprinkler once a week can help. Before you do it’s wise to spike the lawn first to relieve compaction and allow water to penetrate to the roots. 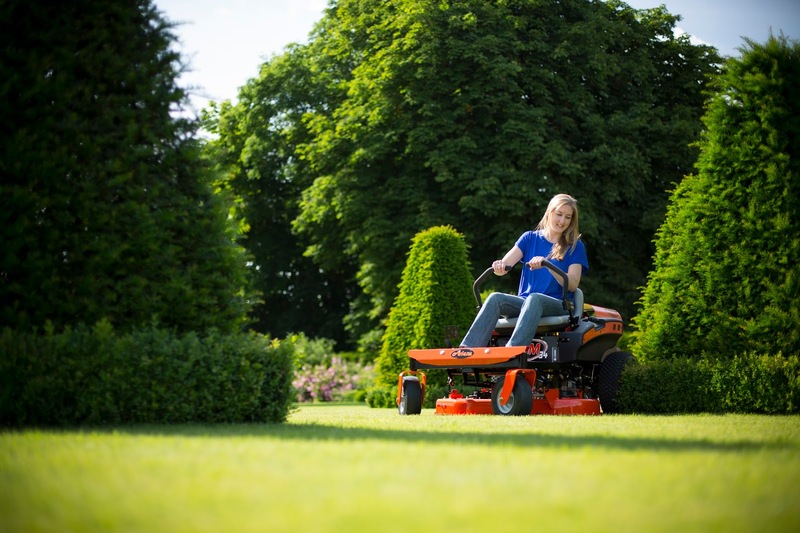 A spiker attachment on the garden tractor or purpose built spiker/aerator will do the job of helping prevent the water sitting on the surface. When asked how long should you let the sprinkler run for, a handy tip is to leave a clean, open jam jar on the lawn with the sprinkler running. When the jar has collected 13mm (0.5”) of water the sprinkler has been running long enough on an established lawn. Newly laid lawns or those raised from seed in the spring will need more watering during their first summer. You’ll be mowing regularly if there is rainfall, though not during drought but it will help the grass in hot weather if you raise the height of the cutter deck a little to help prevent the lawn drying out. Mulching is another aid and if you don’t have a mulching deck you can leave the grass collector off to do a similar job of letting the cuttings help protect the lawn. A light application of fertiliser on an established lawn is beneficial this month. If it’s dry and you can’t water use a liquid feed rather than a granular one. A weed and feed treatment earlier in the year will have put paid to most of the typical lawn weeds but if you have any persistent ones they can be spot treated. The best one care is by doing all thing by yourself, because only you will know what you will do with your lawn, this is the best thing. Also check out this article about it http://www.exeideas.com/2015/10/blog-promotion-checklist.html Check it out!